Will Joint Appearance by Feinstein and de León Be a Debate? Not Quite. It's been 18 years since incumbent U.S. Sen. Dianne Feinstein debated a general election opponent — but that's about to change. 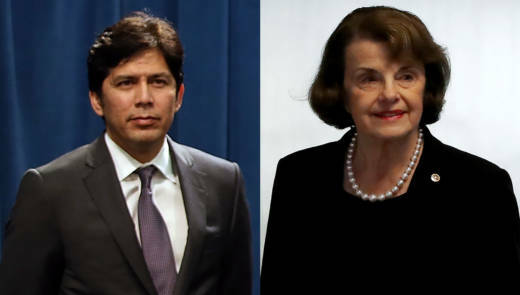 The Public Policy Institute of California (PPIC) has announced that Feinstein and her Democratic challenger, Los Angeles State Sen. Kevin de León, share a stage "in conversation" with PPIC president Mark Baldassare in San Francisco next Wednesday, Oct. 17. The lunchtime appearance before a live audience will last one hour, and each candidate will have up to three minutes to answer each question, said PPIC spokesperson Abby Cook. At the moderator's discretion, candidates will have an opportunity to respond to their opponent's answers. But there won't be much interaction between the two. De León campaign spokesman Jonathan Underland said it was "a let down" not to get the kind of debate they wanted: "A traditional, real debate live on TV." The PPIC event will be streamed live with "broadcast-quality video" for TV. The last opponent Feinstein debated was moderate Republican Tom Campbell in 2000. Since then she has consistently declined to debate, a decision that hasn't seemed to hurt her, given the relatively low profile of her opponents. Feinstein's campaign spokesman, Jeff Millman, insisted the rules for next week's event will allow plenty of interaction between the two candidates, which may or may not be what happens. "It's just like what you and KQED did this week with the candidates for governor," Millman said. 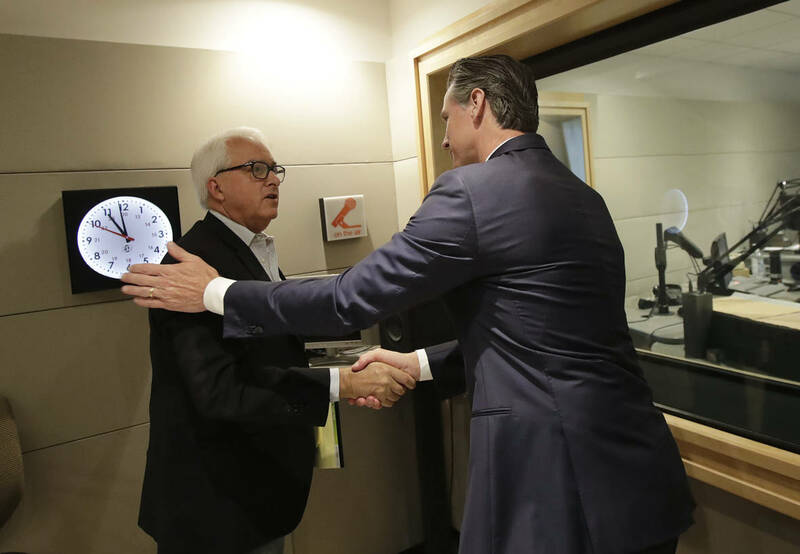 It might be splitting hairs, but this week's discussion with Gavin Newsom and John Cox included plenty of direct interaction between the two candidates without interference from the moderator (me). It's not unusual for incumbents and frontrunners to decline debates to minimize the risk of losing their advantage with a mistake that alters the campaign's dynamics. In general however, there's not much evidence that debates change voters' minds so much as they reinforce pre-debate biases and preferences. Feinstein easily won the June primary with 44 percent of the vote to 12 percent for de León. Since then, the California Democratic Party, in a rebuke to Feinstein, endorsed de León. A recent PPIC poll showed Feinstein's lead has shrunk from 22 points in July to just 11 points now, 40 to 29 percent with 8 percent undecided. But the incumbent Democrat has a large advantage in campaign cash and a positive approval rating from voters. During the confirmation hearings for U.S. Supreme Court nominee Brett Kavanaugh, she came under repeated criticism from Republicans, including President Trump and GOP members of the Senate Judiciary Committee. They accused Feinstein of holding onto a letter from Dr. Christine Blasey Ford until the last minute in an effort to upend Kavanaugh's nomination. It's not clear what impact — if any — that will have on Feinstein's re-election.